Certainly we are in a cold-water trend. Wait a minute… I need to rephrase that. We are no longer in the hot-water trend that started in 1983. We are also no longer in that funk from last year where the El Niño died right when it was supposed to start. The La Niña has ran out of gas as well, although they will not declare this for another month or two. All of these indicators point to a “normal” season — whatever that is. There is so much good info out there that it can thoroughly confuse a guy. Skip Smith, a legendary globetrotting captain, is nice enough to send me the “Browning Newsletter” (http://www.browningnewsletter.comm). Reading it really makes me understand how dynamic our current system is. Currents are the lifeblood that deliver the fish to our door or force them to pass it by. If you want to read a really good piece about California’s local currents read “Geology 303, chapter 6, Southern California Bight.” Here is the link to the paper so you can check it out: http://www.cnsm.csulb.edu/departments/geology/people/bperry/geology303/geol303chapter6.html. We are supposed to be in a trend similar to the one that ran from the 1940s through the mid-1970s. You can read about the “Pacific decadel oscillations,” and blah, blah, blah… There’s so much. We don’t have a Gulf Stream that is fairly constant like the East Coast. Anyway, I like the direction things are going in. Water conditions have stabilized. The biggest issue is going to be these volcanoes and their effect. I could get super technical but choose not to… This is what I do know — the swords are back at the Cape like I have not seen in a long time. In nine days of fishing we found 10 swords down there. 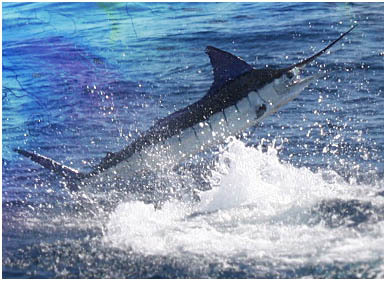 The striped marlin are also there in huge numbers. There’s lots of yellows in the Gulf and even in Cabo. The sea bass are still around locally and some reports I just got from Ryan Burr, Andy Horner and Jim Kingsmill were promising. Not so much the numbers but the size of the fish being back to 20 pounds and under. We went through a number of years where the fish were getting like 3 to 5 pounds bigger every year. That, to me, would be an indicator that we were coming to the end of a cycle. I just talked to a guy that said he had great calico fishing at the island on a good grade of fish. Albacore? Who knows… We don’t get the jig boat coverage we used to and with fuel prices, not many guys are willing to go look. I remember seeing fishing yachts in years past like the Fighting Lady, Abseas and a few other prospectors out looking. I used to see those guys everywhere. Personally, I took many boats like Abseas, Unreel, Little Lady, Colleen and Hana Paa to Guadalupe Island and north of it, outside Cortez, San Juan Seamount, etc. 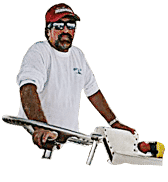 Many years we bumped into the albacore and would start the season. Other years on the Mirage we found the albacore between Clemente and San Nicolas while fishing swords. Everybody wants that instant gratification, the cyber years, they wait till they hear or read where they are biting and then go catch some of them. Personally, I hate to fish like that. It is my last option. Not many fishermen left are willing to put the time in to scout ‘em out. The marlin bite will depend on how many hurricanes we get and how early in the season we get ‘em. In my opinion, that is a huge influence on the California Counter Current and the Davidson Current. That will be the dominant factor on how the water is fed into Southern California. For that to happen the ash from the volcanoes in the atmosphere around the arctic will have to dissipate. That is the only way the northwesterlies will back off. Crazy, huh? If you read 303 you will get an idea of how complex our currents really are. That’s it for now, get out and go fishing. I guarantee that if you have an open mindset and you’re willing to fish for several different species with several options, one of them will bite and you can make a day of it. Grab a few buddies, split the fuel and be a hero. Go find ‘em.